Planning a Trip to the Canadian Rockies? 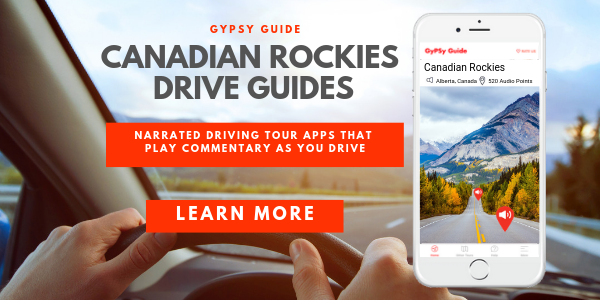 The GyPSy Guide Driving Tour Apps are designed to divide Banff, Jasper & Yoho National Parks into 4 easy to follow guided drive day trips. With each of these tour apps, it does not matter whether you arrive from north, south, east or west, they all cover the best sightseeing and are not direction specific. Fly into Calgary Airport. Drive from the Airport or Calgary Downtown. Banff is the first National Park town in the Rockies you will arrive at. Arrive by Rocky Mountaineer train in Banff, then start sightseeing in the Rockies by rental car. Drive from Vancouver and follow the TransCanada Highway #1 all the way. The first place you will enter the Canadian Rocky Mountain Parks is through Yoho and arriving at Lake Louise. Drive from Vancouver but use Highway 5 from Kamloops to arrive in Jasper as your first National Parks town. Arrive by Rocky Mountaineer in Jasper or drive to Jasper from Edmonton. For each of these arrivals, the GyPSy Guide apps below match your travels through the National Parks. This is the most scenic drive in the Rockies and has been voted the World’s Most Beautiful Mountain Drive. The GyPSy Guide Columbia Icefields Parkway tour is designed that it can be driven either from Lake Louise to Jasper or reverse, Jasper to Lake Louise. 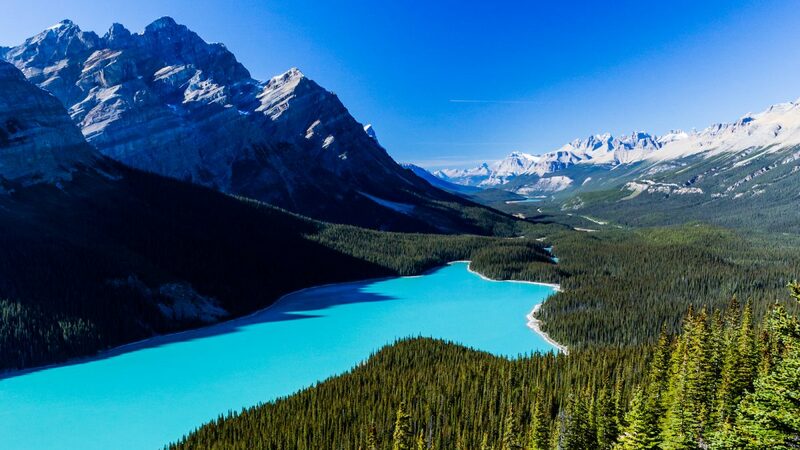 For approximately 50% of visitors, their itinerary does not take them all the way to Jasper from Banff or Lake Louise. The Icefields Parkway Tour App is still an excellent guide if you are only traveling as far as the Icefields Center and then returning back to Banff or Lake Louise. You will have commentary on the way to the Icefields and back again. The Icefields Center is where you can take The Glacier Adventure special coaches up onto the glacier. They used to be called the Snow Coaches or the Ice Explorers. 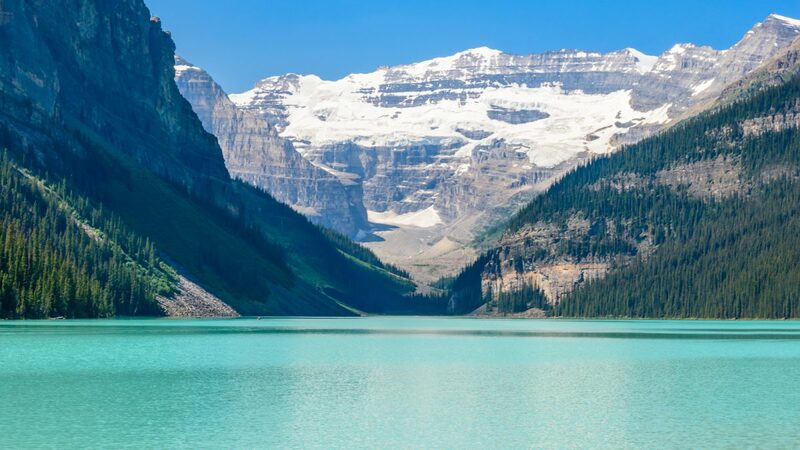 The GyPSy Guide Banff Lake Louise Yoho tour app is designed to explore the Lake Louise area, namely Lake Louise itself, and the gorgeous drive to Moraine Lake. We then leave the Lake Louise area to continue across the Continental Divide into the adjacent Yoho National Park. Yoho’s highlights include Emerald Lake, Natural Bridge, Takkakaw Falls and the Spiral Tunnels for returning to Lake Louise. This tour can be started from the western entrance to Yoho for visitors driving into the Rockies from Vancouver or the Okanagan. Just launch the tour when you pass the Wardens Compound in Yoho, and watch for the turnoff to Emerald Lake where you will join the commentary route. As a bonus, if you are starting the tour from Banff, there is commentary on the TransCanada Highway #1 for the 45 minutes drive from Banff to Lake Louise. Or you can follow the Bow Valley Parkway from Banff to Castle Junction to include a visit to Johnston Canyon to your days itinerary. 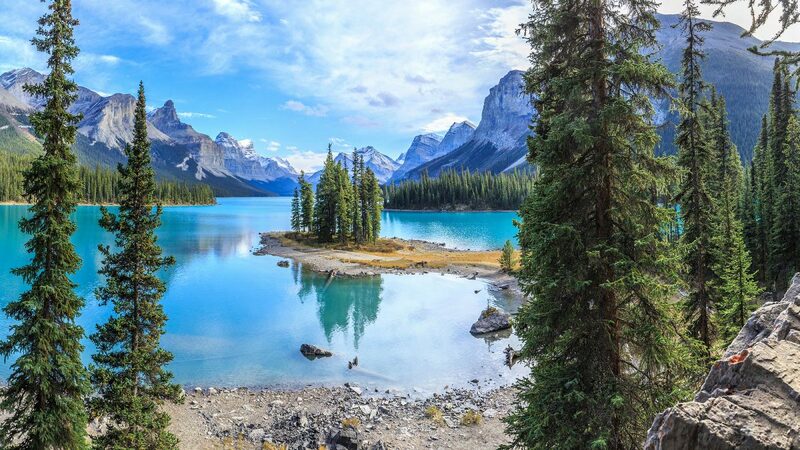 The GyPSy Guide Jasper National Park tour includes all of the best sightseeing viewpoints in Jasper National Park that are in addition to ones along the Icefields Parkway. Starting within the Jasper townsite (or Fairmont Jasper Park Lodge), you can break this tour up over multiple days or complete the full tour in one (very) long day! The tour radiates out from the town and then returns – so it makes no difference which direction you approach Jasper from. This tour matches all driving itineraries. 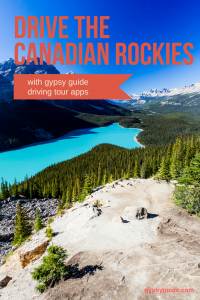 The GyPSy Guide Banff Townsite & Area tour is designed as a loop drive that will take you to all the sightseeing highlights in and around the town of Banff – the birthplace of the National Park. 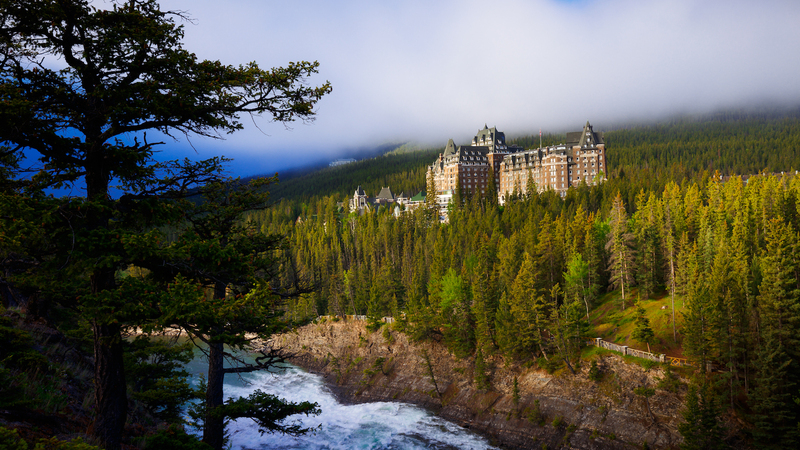 You can join the tour from anywhere along the route, but we suggest driving towards the Fairmont Banff Springs Hotel as a best location to start the tour. You can complete the loop in about 2 hours driving time, but of course you will want stop at many of the viewpoints and attractions along the way so a half day is recommended. If you follow the tour and do all of the major attractions – Banff Sightseeing Gondola, Cave and Basin, Lake Minnewanka Banff Boat Cruise and the Upper Hot Springs, you could easily fill a complete day. This tour fits all itineraries. Calgary is the gateway city and domestic and international airport (YYC) to the Rockies for many visitors. The driving time from Calgary airport or Calgary Downtown to Banff is about 1:45 hours. The tour is designed to be driven from Calgary to Banff (not available in reverse). In summer, there is daylight until 9.30pm – 10.00pm until September, so the driving tends to be very easy. The TransCanada Highway #1 is a fast, flat, 2 lane each way, twinned highway with a speed limit of 110 km/h (65mph) until you reach the Banff National Park entrance. We provide a Free GyPSy Guide Tour from Calgary to Banff. 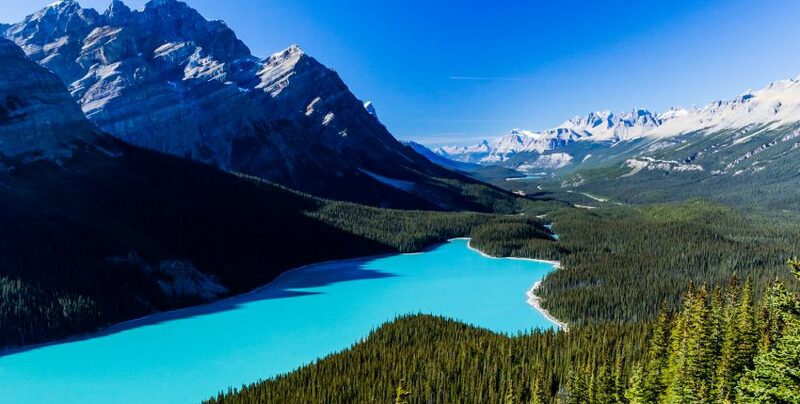 The tour is designed to provide you with an introduction to Calgary, the National Parks and is filled with suggestions of how to visit the park and many tips and advice about things to do and see to enjoy the best visit possible. It will provide you with directions from the Airport to bypass Calgary traffic or to leave the Downtown area and the easiest way to join Highway #1. There are no recommended sightseeing stops on the route, but it is a stunning drive as you transition from the flat prairies to the giants of the Canadian Rockies. We do not offer a tour from Banff to Calgary. There are no recommended sightseeing stops on the route – its highway driving. There are excellent signs directing to the Airport, so easy to do on your own. Mountains, Lakes & Waterfalls. 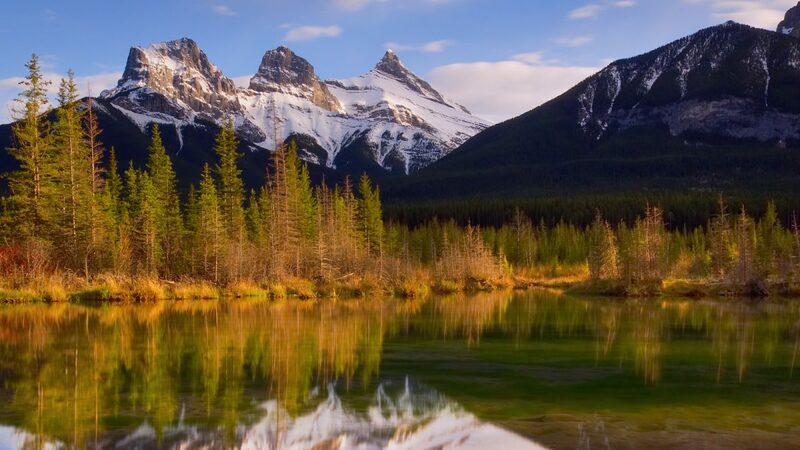 Tour some of the most spectacular scenery in Banff and neighbouring Yoho National Park. 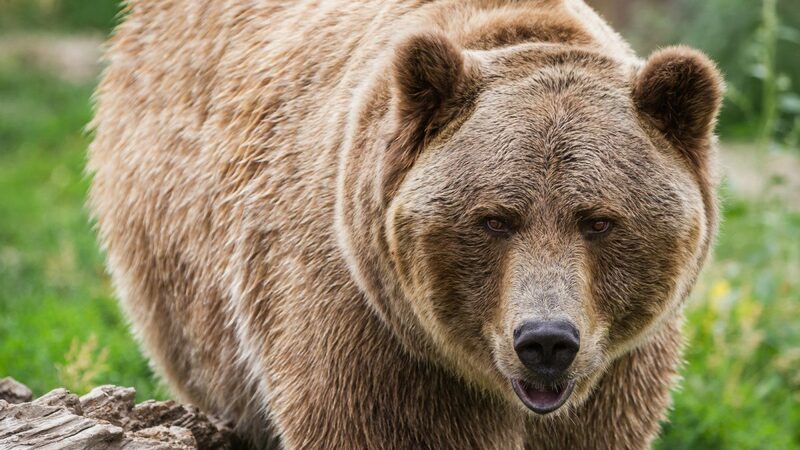 Drive slowly on the Bow Valley Parkway (the old highway) and keep your eyes peeled for wildlife. Voted The World's Most Beautiful Mountain Drive. And the best way to tour this is at your own pace. All the "not to be missed" viewpoints, some recommended hikes and places to enjoy a picnic lunch. Stunning Lakes, Canyons & Mountains and So Much Wildlife. Jasper should not be overlooked on your Canadian Rockies road trip. A wilder environ, less crowded townsite and great opportunities to see wildlife. A Townsite Built Inside A National Park. Explore the Banff Townsite and surrounds, perfect orientation for any first time visitor to Banff with all the must do viewpoints included. Like this article? Pin it! or share these must-follow tips for driving the Canadian Rockies with other savvy travellers.